Buy Rattan Lounger Set Online Today! Just relax. LIKRIS L , the classic rattan garden lounger set is at your service. Do you like the sound of pure relaxation without any fuss? 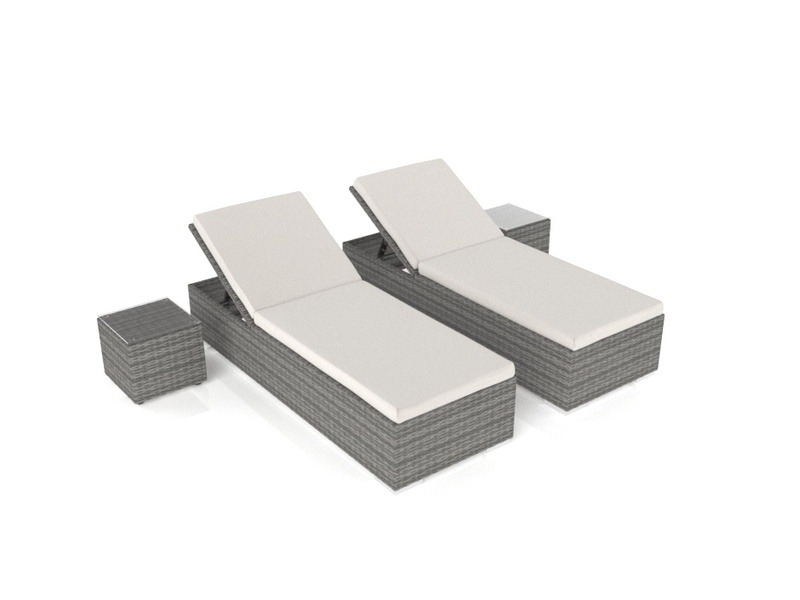 Then the LIKRIS L rattan garden lounger set is exactly right for you. This relaxation lounger set- complete with adjustable headrests - is everything you'll need to take some time out from a busy day. The LIKRIS L rattan garden lounger set can be assembled almost anywhere. Why not create a relaxation haven in your conservatory, on the patio, or beside the garden pond? Stretch out for a while on the balcony or beside the pool! 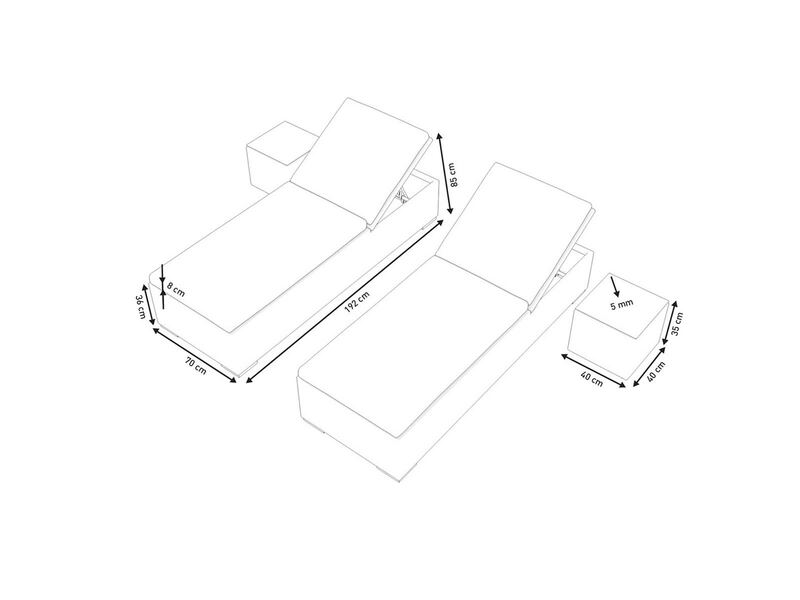 The set consists of 2 loungers and 2 side tables. The lightweight, corrosion-resistant, powder-coated aluminium frame and the strong, weatherproof rattan fibre makes LIKRIS L ideal for use outdoors. The sturdy rattan material is UV-resistant and woven by hand, which is what makes this premium, high-quality lounger set unique. The cushion covers are made from 100% polyester and the filling is made of foam.